For your deck, patio, roof or driveway is due for a cleaning, go on further. We offer a wide selection of services from environmentally safe power washing options to traditional pressure cleaning services to remove any dirt, dust or grime you want to get rid of. Find below a list of all the type of washing we do. If you have any questions on any of the residential services we offer, feel free to give us a call AT 239-304-0285. There is no high-rise too tall or parking lot to large to get the commercial cleaning jobs done within a reasonable time frame. Dirty windows and a cold-infested facade on your prime retail store are not appealing to any customer walking in through the door. Get any unwanted paint and graffiti taken off in minutes with our commercial pressure washer here in Naples. 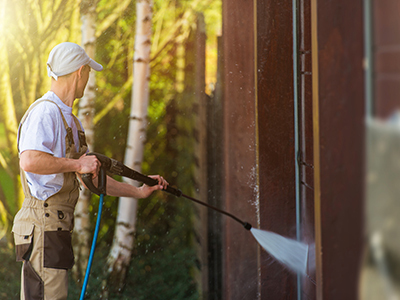 We cover every kind of exterior cleaning service and sealing service available for commercial properties. 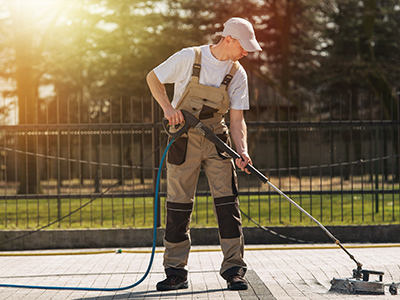 Pressure Cleaning is the first step to getting your property looking nice and clean, but sealing is what will give a long lasting beautiful finish for years to come. Sealing your driveway or patio deck will not only protect it from rain, the sun and other elements that can fall onto it, but sealing will also raise your property curve appeal. 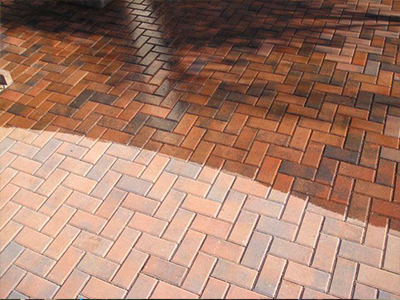 Make your power wash last more than the few summer months of Naples by adding a sealing coat. Below you can find the type of sealing services we offer.